Some of you have asked me for the stats behind my trade suggestion service tradewithZEN and I have something really cool to share with you. Most of the time I don’t have time to analyze stats like this between trading, blogging, and living….so it’s with a lot of gratitude I can offer the below. Over the weekend one of my subscribers who has been a member since inception in July sent me the following email that sheds some light on what you can expect from the sort of stock picks I have you focused on. I did not ask for this information and I did ask permission to share it with you before I emailed you. 1. Buy on the open price the day following addition to the watchlist. 2. Stocks that were removed immediately b/c of no follow through were not considered. The results are pretty interesting. Of course, this is purely mechanical with no entry strategy and no concern given to the state of the overall market so with trading strategy applied these returns could easily be much, much higher. Obviously based on these results, you have myself and all of your subscribers focused on the right stocks and for that I thank you and ask you to keep up the great work! These are very realistic and encouraging numbers. I never promise unrealistic gains when I advertise my service and there is a certain amount of work on your part. The nice part is I don’t have a huge watchlist (currently there are 17 names on my watchlist) so it’s easy to keep track of them. I know that I’m focused on stocks that are outperforming the general markets but sometimes it’s hard to “prove it”. These numbers prove it. 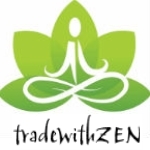 I invite you to check out what I’m doing at tradewithZEN for a mere $20/month and lock in that price as I can’t say it will last. I provide far above that value and I have other plans for cool things in the future. Oh, and there are only 35 spots left before membership is closed.